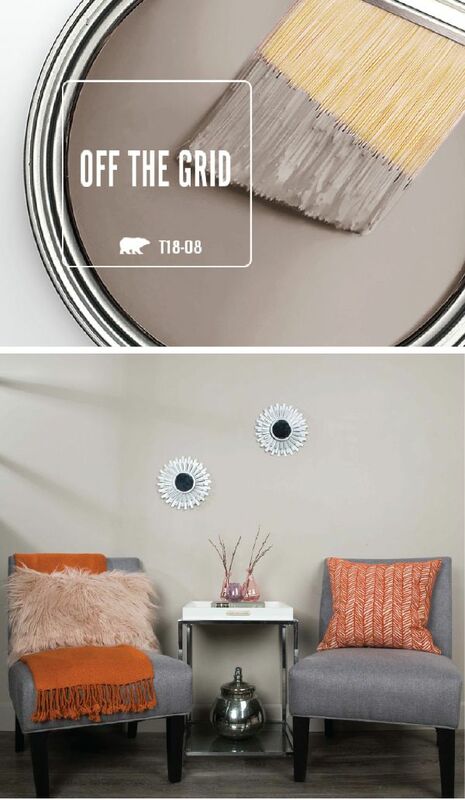 A fresh coat of BEHR Paint in Off The Grid is just what you need to spruce up the interior design of your home this winter. This warm beige hue is part of the BEHR 2018 Color Trends collection. Pair this neutral shade with mid-century modern furniture, white home decor pieces, and pops of bright accent colors to create a contemporary style.